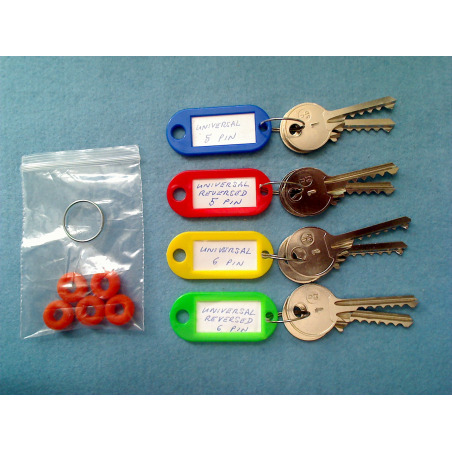 This is the universal set consisting of 8 keys in total, with a choice of pairs of universal keys for common cylinders. Arrone, Avocet, Basta, Bird, CES, Chavo, ERA, Eurospec, Gerda, Hiatt, Keypsafe, LSH, Merchant, Morgan, Patons, Roto, specialist, Sterling, UAP, Winkhaus, WMS, Yale, York, Zone and many more generic non branded cylinders. 1 and 3 Low and high cuts. Shoulderless version at a reduced price of £3 per set. Also choose from either the Tag set or the Ring set for the same price. 1 = Low (used for locks with long key pins, pins can be as long as a 9 pin). 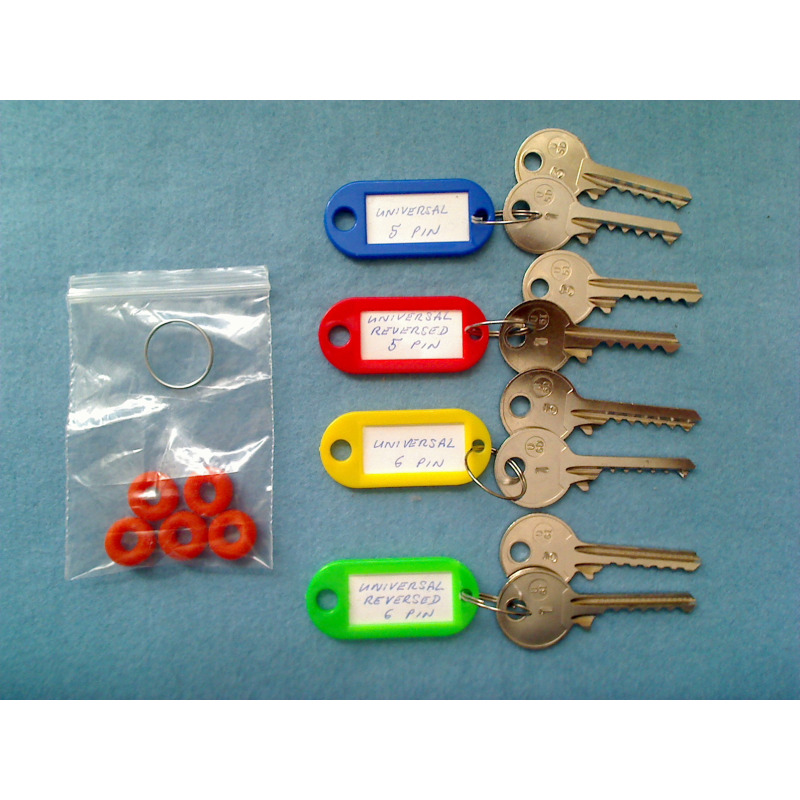 3 = High (used for locks with shorter key pins, pins can be as long as a 5 pin.